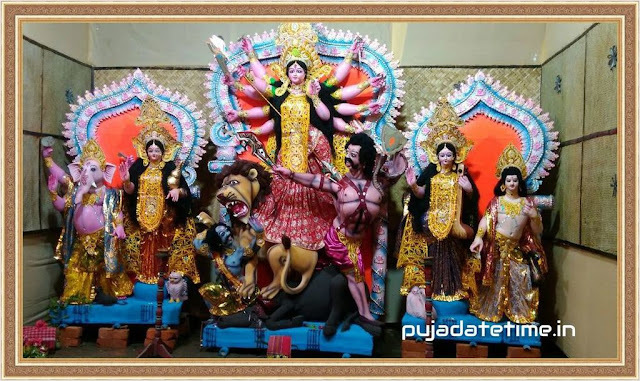 Ganesh Chaturthi ( also known as Vināyaka Caturthi, Gaṇēśa Caturthī or Vināyaka Cavithi, Hindi - गणेश चतुर्थी, Bengali - গণেশ চতুর্দশী ) is celebrated as birth anniversary of Lord Ganesh. 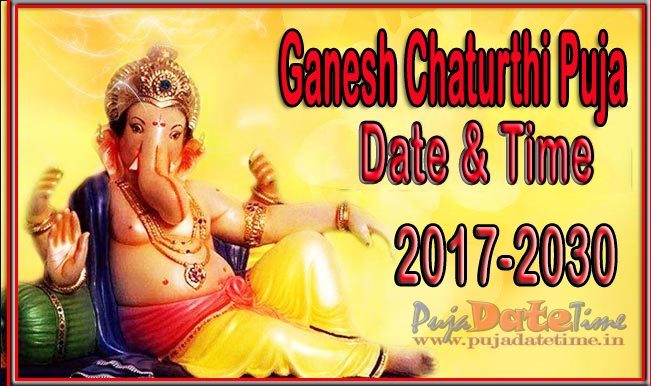 Chaturthi (Hindi चतुर्थी) means "fourth day" or "fourth state". Celebrations are traditionally held on the fourth day of the first fortnight (Shukla Chaturthi) in the month of Bhaadrapada in the Hindu calendar, usually August or September in the Gregorian calendar. On Ganesh Chaturthi, Lord Ganesh is worshipped as the god of wisdom, prosperity and good fortune. It is believed that Lord Ganesh was born during Shukla Paksha of Bhadrapada month. Ganesh Chaturthi Puja Date, 2020 - 2030.